This is another special number from the 2017 #BBNaija winner, Michael Ejegba popularly known as “EFE”. After dishing out his “Thank God” single, he has been growing more fans adding to the fans he has gotten during the Big Brother Naija contest. As we are all hoping forward to what YBNL boss, Olamide will do for Efe in assisting his career, Efe has never relent since then as he needed more fans to grow his career. 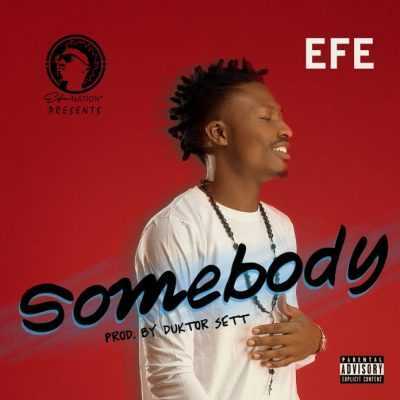 Efe has recently said in one of his social media handle that he felt like feeding his fans with another song again, he said he will drop something that his fans will be able to dance to. Yea, he has fulfilled the promise as he give to us the “Somebody” tune. It’s a must hear to every ears.